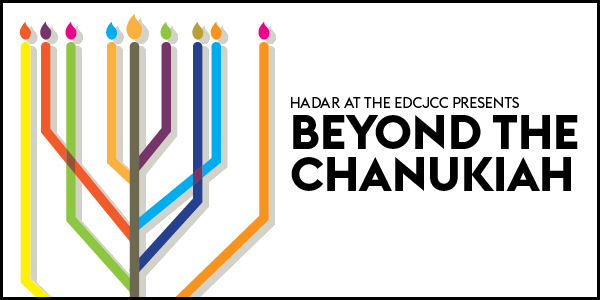 Join the EDCJCC and the Hadar Institute for a morning workshop focused on themes associated with Chanukah and the holiday season. The Hadar Institute is an educational institution that empowers Jews to create and sustain vibrant, practicing communities of Torah learning, prayer, and service. This program will include a panel and breakout sessions full of cross-cultural, passionate discussions open to all, regardless of a participant’s background or affiliation. Fire has the power to both create and destroy. How do we cultivate the light we need—and are commanded to kindle—without accidentally burning down the world? In this session, we will explore texts on the dual nature of fire, and ask what the Chanukah candles can teach us about how to burn without being consumed. The mitzvah of lighting candles is one of the most beautiful and pervasive, yet our Sages ask why we bother lighting at all. Through the sharp eyes of midrash and the creative interpretation of hasidut and modern thinkers, we will confront a fundamental doubt: What do we do when our eight little lights, our work in the world, seems insignificant and futile? Together we will engage the possibilities of what it means to keep lighting in the face of darkness. The destruction of the First and Second Temples were events of cataclysmic proportions that left the Jewish community reeling in its wake. Everything they knew, or thought they knew, had been destroyed, at the hands of foreign rulers, perhaps even sanctioned by God. In this session, we'll turn to the Talumd to get a window into the different ways the young priests and rabbis responded to this great sadness. As we watch them move through their grief, we'll hope to learn what their own attempts at resilience can teach us about resilience in our times. Rabbi Avi Killip serves as VP of Strategy and Programs and Director of Project Zug at Hadar. 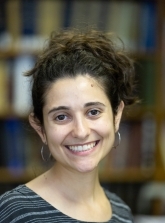 She was ordained from Hebrew College’s pluralistic Rabbinical School in Boston. She was a Wexner Graduate Fellow and holds a Bachelors and Masters from Brandeis University in Jewish Studies and Women & Gender Studies. She serves on the advisory board of ShmaNOW and the Jewish Studio Project. Rabbi Aviva Richman is a faculty member at Yeshivat Hadar, and directs the Manger Winter Learning Seminar. Aviva has taught at the American Jewish University in Los Angeles, and is a past Rosh Kollel of the Bet Midrash at Camp Ramah in Wisconsin. She has also taught at the National Havurah Institute. She studied in the Pardes Kollel and the Drisha Scholars' Circle and was ordained by a private teacher. Particular interests include Halakhah, gender and sexuality in Judaism and niggunim. 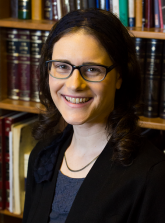 A Wexner fellow, Aviva is currently pursuing a doctorate in Rabbinics at NYU. Rabbi Avi Strausberg is the Director of National Learning Initiatives at Hadar, and is based in Washington, DC. Previously, she served as the Director of Congregational Learning of Temple of Aaron in St. Paul, Minnesota. Avi studied at Hadar as a year fellow, and served on our summer faculty in 2014. She received her rabbinic ordination from Hebrew College in Boston and is a Wexner Graduate Fellow. She also holds a Masters in Jewish Education. While pursuing her studies, Avi was honored to serve as a rabbinic intern at Kehillath Israel and Temple Sinai. She has taught students of different ages and backgrounds at Kehillath Israel, Temple Sinai, Makor, and Hadar. Additionally, Avi has worked as a chaplain intern at Hebrew Senior Life and organized an anti-trafficking campaign as a rabbinic fellow at T’ruah. 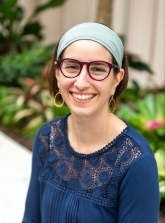 Energized by engaging creatively with Jewish text, she has written several theatre pieces inspired by the Torah and maintains a Daf Yomi haiku blog in which she writes daily Talmudic haikus. Avi is most grateful for her wife, Chana, and two children, Ori and Niv.